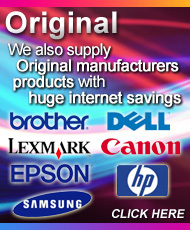 UKInkSupplies.com is an Internet Mail Order Company based in the historic city of Lincoln and also London, UK. 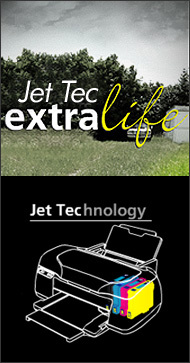 We specialise in Digital Imaging Supplies, our forte being consumables ie. ink and laser toner printer cartridges. As our name suggests UK Ink Supplies specialises in the supply of recycled, compatible and original inkjet consumables for your printer. We supply to private home customers, businesses, schools, local government and other organisations all over the UK, Europe and the rest of the world. 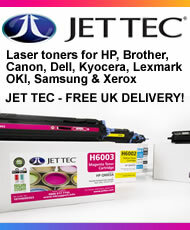 We stock a wide range of original, compatible and remanufactured inkjet and toner cartridges. In addition we stock a range of Agfa inkjet papers. We supply many branded products including Brother, Canon, Epson, HP, Lexmark, Oki and Xerox as well as Jet Tec compatible ink cartridges and laser toners (Jet Tec Official Reseller) and GreenTech and Xinia laser printer toners. We help our many loyal customers to save money, reduce waste and buy with confidence; we are well established (since 1999) in the UK with literally thousands of satisfied customers who rely on us for speed, value and convenience. Our business policy is simple; we supply quality ink and laser toner printer products at good value for money prices, supported by a service second to none. When you buy from us, you can rest assured that your purchase will be fit for its purpose and you will have paid a sensible price for it. Thereafter, should there be a problem with your purchase, you will be looked after to the best of our abilities. Our customers are very important to us; being a privately owned business we sincerely believe that satisfied customers are our future. We hope you will enjoy shopping with us, then tell your friends and family and come back to us for more! Recommendations and return custom represent the majority of our daily business. If you have any suggestions on how we can improve our service please drop us an email, we will be pleased to hear from you. Thank you in advance for your printer cartridge business, we appreciate it.